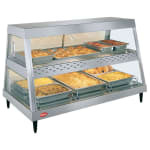 The Hatco GRHD-3PD heated display case is built with two shelves, each with the capacity for three half-size food pans. This warmer keeps food hot with metal-sheathed heating elements above the food holding area as well as thermostatically-controlled heat from underneath the pans. 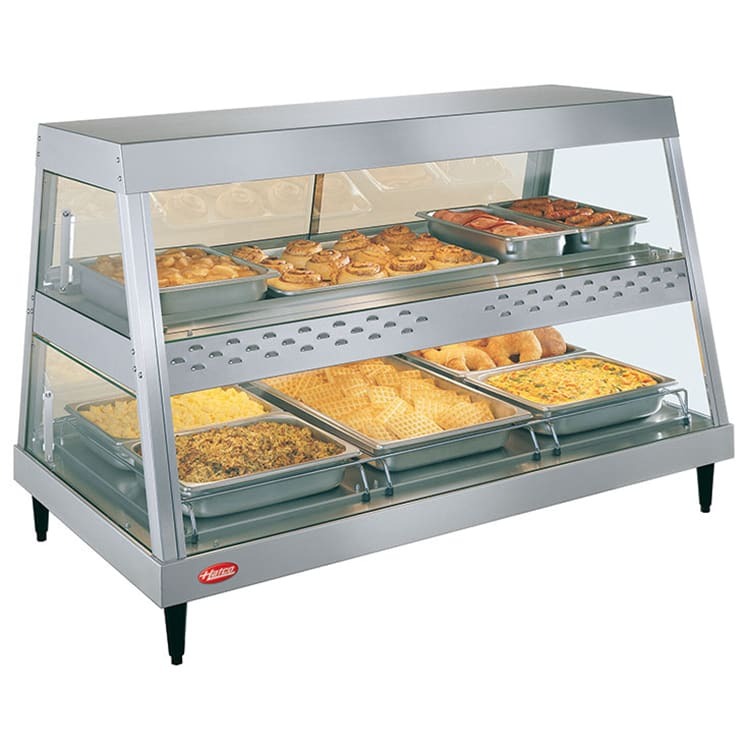 This countertop display warmer is constructed from stainless steel, aluminum, and tempered glass for easy cleaning and lasting service. With the dual shelf model, there is an upper holding and display area that has its own temperature control, so you can keep two different foods hot at once. The Hatco GRHD-3PD heated display case is a countertop model that has 4-inch legs that lift it off the counter to facilitate cleaning underneath the unit.